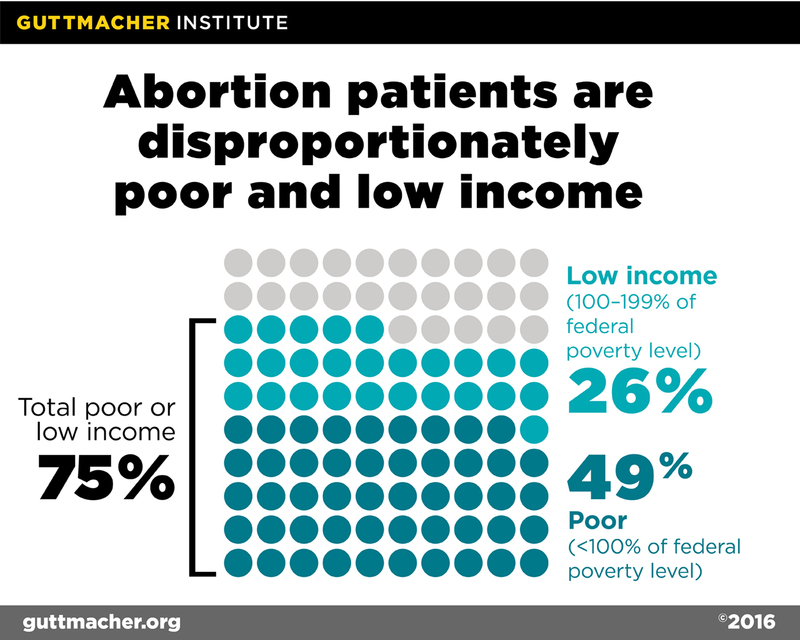 Nearly half of abortion patients in the United States are poor and another 26% are low income. These data come from a nationally representative survey of nonhospital abortion patients in the United States. Jerman J, Jones RK and Onda T, Characteristics of U.S. Abortion Patients in 2014 and Changes Since 2008, New York: Guttmacher Institute, 2016.